Discussion in 'ARK: Survival Evolved' started by Dj Slimey, Mar 31, 2018. Heyo, figured I'd make a guide for this since it's not 100% obvious on how. Alright lets start off with the easy stuff. 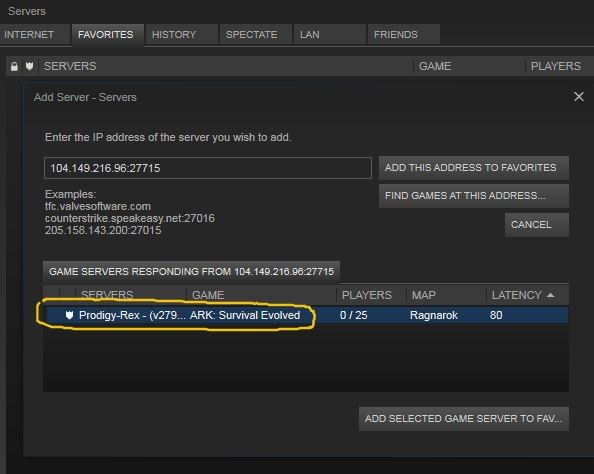 This is Ark. 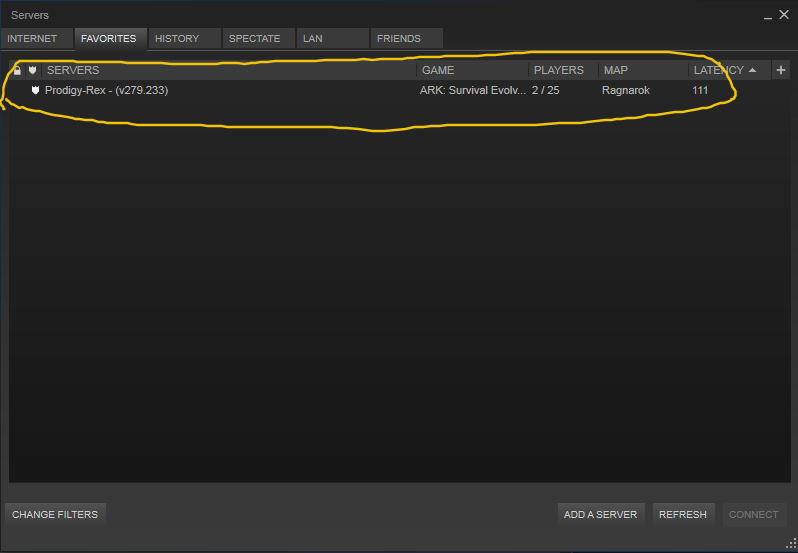 If you don't have it then buy it and come back to this guide. 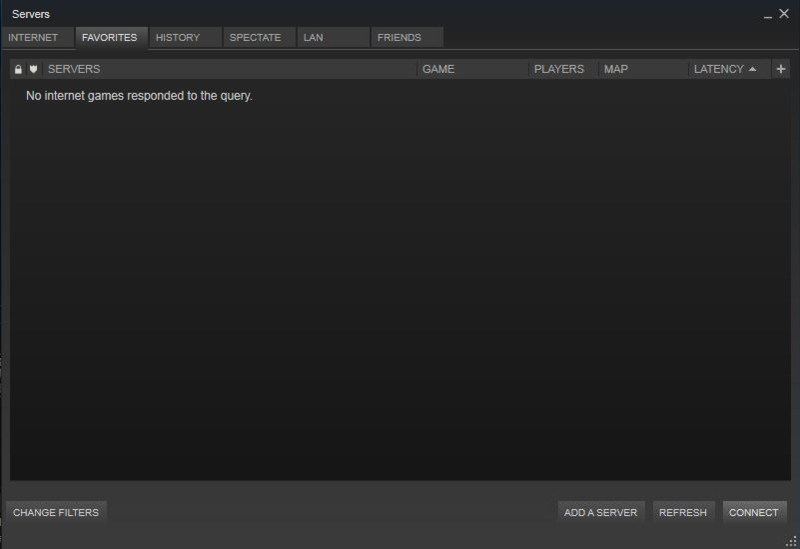 Go to the view tab in your steam client, go down to servers. Click it. 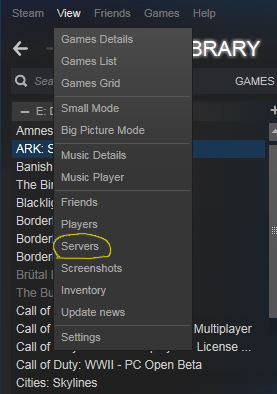 Once you've gotten here right click and then click "add server by IP address"
will open a new window. Like this one below. 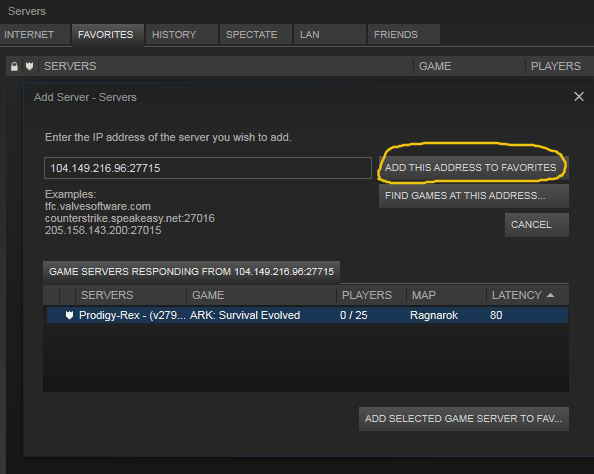 Click "find games at this address"
Now that you have clicked "find games at this address" you should see the PXN Server. Click "add this address to favorites", this way you can come back to it without a headache. 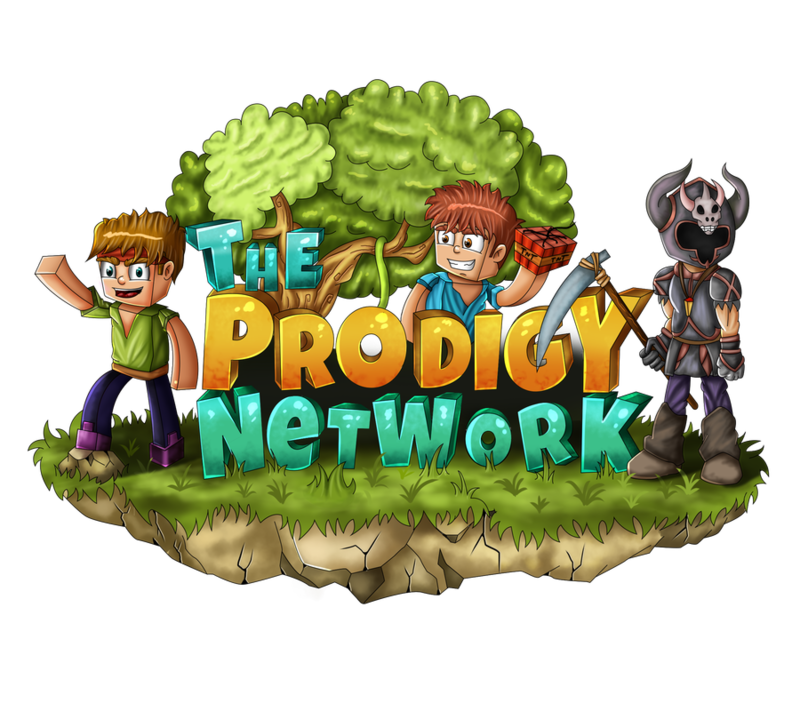 Congrats the PXN server is now in your favorites and you can now connect. Skip #'s not steps kids. lol. Yes I skipped a step, sorry. Step #3 was just to tab over to the favorites after that just follow as normal and you will be fine.